This will come as a completely random bit of WTF for most people who only know me via that Internet, but allow me to explain. 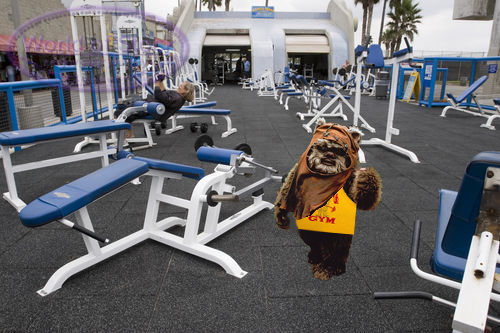 My co-workers and I have kicked around a joke about Ewoks working out at Venice Beach for quite some time now. I was bored tonight and decided to make some evidence of the Ewok’s diligence in his pursuit of physical nirvana. 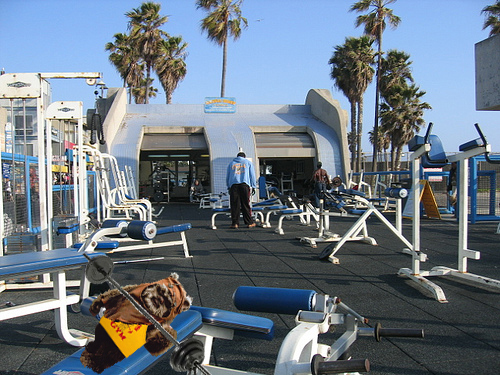 So here you have it, Wicket at Muscle Beach wearing a Gold’s Gym tank. Watch your ankles, folks… this one packs a wallop. And yes, he’s one-handing that barbell in the second shot.